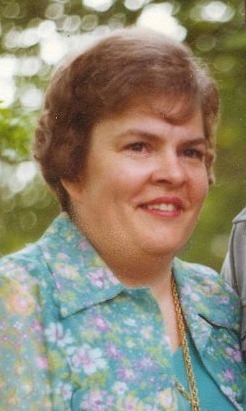 Obituary for Laverne Kay (Noftsier) Montalbano | Iseneker Funeral Home, Inc.
CROGHAN – Laverne Kay Montalbano, 78, of Long Pond Road, Croghan, passed away Thursday morning, March 21, 2019 at the Lewis County Residential Healthcare Facility. Calling hours are from 1:00 p.m. to 3:00 p.m. on Saturday, March 30, 2019 at Iseneker Funeral Home, Inc., 5702 Waters Road, Lowville , with a closing prayer at 3:00 p.m. Burial will be held at the convenience of the family at Gospel Hall Cemetery in Belfort, N.Y.
She is survived by her loving husband of 58 years, Nicholas; two sisters, Marlene Urtz of Lee Center, N.Y.; Sandra and George Neill of Georgetown, C.A. ; special friends, Ernie and Elsie Iverson of Minnesota; Kelly Balash of Lowville, N.Y.; Patrica Pike; Barbara and Gordon Monnat; and several nieces, nephews and cousins. Laverne was born on October 4, 1940 in Lowville, N.Y., a daughter of the late Harold and Virginia Yousey Noftsier. She graduated from West Leyden Central High School in 1958. On June 11, 1960 she married Nicholas A. Montalbano. Laverne worked as a billing supervisor for Revere Copper Products in Rome, N.Y. for 43 years. She was a former member of the Methodist Church of Donna, TX, and a Life Member and past President of the Mohican Model A Ford Club of Central N.Y., and the Ononabago Winnies RV Club of Central N.Y. Laverne also loved dining out, reading, and traveling by R.V. to historic places in America. She enjoyed spending her winters in South Texas. The family would like to give special thanks to Dr. Birk and his nurse, Sandy Oblick, and the staff at the Lewis County Hospital and Residential Facility. Condolences may be shared online at www.isenekerfuneralhome.com .